Wisps Of Memory – Out now! Friends, my latest short story, Wisps Of Memory, is now live on Amazon, Kobo, iTunes, Barnes and Noble, and others. It’s a Christmas horror story (as always, not the splatter type) about Ian, a middle-aged loner who lives with the memories of his daughters and grandson, rather than with them, a man who lives on the hope that his loved ones will remember him during the holiday. In the meantime, his nearly paralysed arm starts twitching uncontrollably. A couple of weeks before Christmas, his last friend leaves the country, and Ian finds himself with no one in his life. Day by day, he feels life ebbing away from him. The story was originally published on 9Tales Told In The Dark issue 12, literary magazine on April 2016 and it’s the third and last story I’ll publish this year. 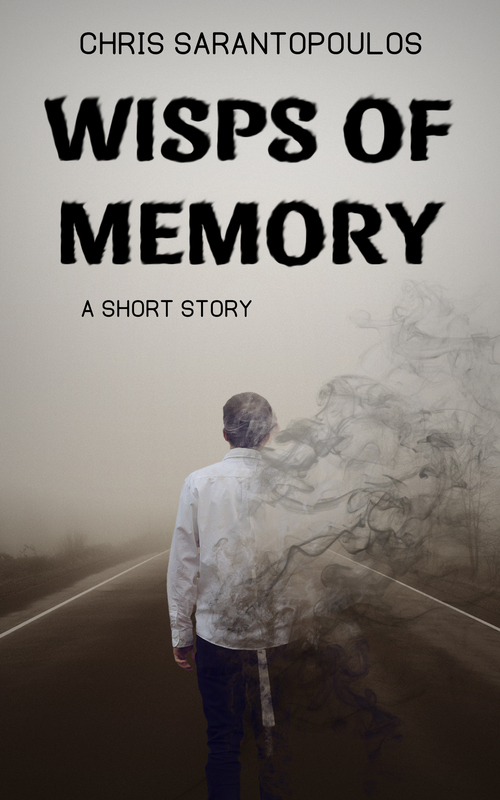 Like the stories I published before, Wisps Of Memory costs $0.99 and is available worldwide. I hope you like it. If you read it, consider reviewing it on Amazon, Goodreads, or any other site you frequent. This entry was posted in Published work and tagged amazon, book, book giveaway, creative writing, fiction, giveaway, horror, literary magazine, Plot, published, short stories, short story, story, Wisps Of Memory. Bookmark the permalink. 6 Responses to Wisps Of Memory – Out now! Thank you, Ellen! It took me a while to make the cover, but I think in the end it paid off.